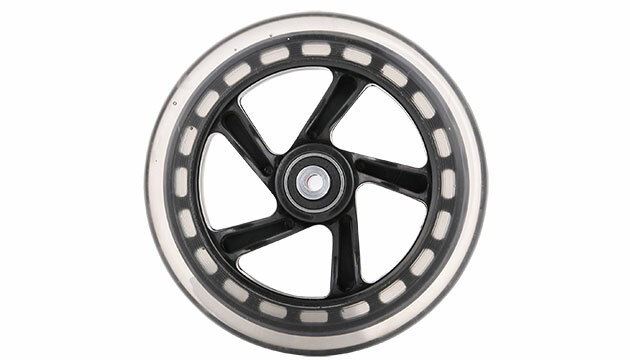 Complete wheel made of PU for Skike v8 LIFT Speed cross skates. Everything included to plug on an go! Fits only to Skike v8 LIFT (Cross & Speed) For other Skike Skates please check the 145mm diameter version! Please note: The frame of Skike V8 Lift has 2 different center bores. For these 125mm PU wheels the lower ones are used and for 145mm PU Wheel or 150mm air tires please use the higher ones.